Another bit of luck this morning. Had mentioned to Urgi, the guy who ran the hotel I stayed in last night, how difficult I find it sometimes to sort out accommodation, not speaking the language, and that this was the most stressful part of the trip. This morning he offers to ring up the next place. I was just going to walk there assuming that there would be plenty of places. He rings them up and finds it shuts on Mondays and Tuesdays, that walking on would be another two hours and away from the trail, and then persuades them to open up just for me. Urgi also made a top breakfast: fresh fruit salad in yoghurt; two fried eggs perfectly seasoned with coarsely ground black pepper; and, fresh rye bread with an apricot compot. He also made me two sandwiches for my lunch. 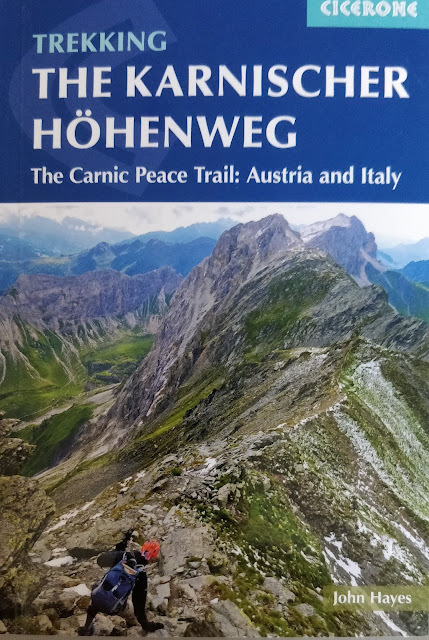 The walk turned out a bit harder than I expected, just 22 kilometres but a lot of climb, 1400 metres. Expecting a walk to be hard makes it easier and vice versa. 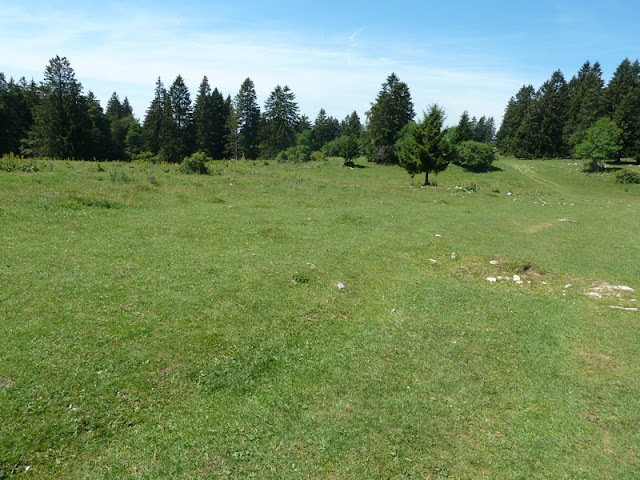 It was also another great walk, good views again, warm but not too hot. Left Frinvillier at just before 9. It's a slightly odd place, right at the bottom of a valley with a motorways exiting and entering the sides of the valley at both the north and south end of the village. The village is in box with cliffs forming two sides and motorway flyovers the over two sides. Because Frinvillier was right at bottom of a valley it takes a couple of hours of walking up hill through trees before you get to the open pasture which has been such a feature of the trail for last week or so. You also go through the village of Plagne which has a couple of hotels. At some point after Plagne I cross from one canton into another and there some stone markings designating the "border". More important it seems that I crossed from French to German speaking Switzerland. The trail I'm on is now described in German and the greetings have changed. The mountains I'm looking at across the valley are also a lot further east than I thought yesterday, just to the east rather than the west of the Eiger, Jungfrau and Monch. 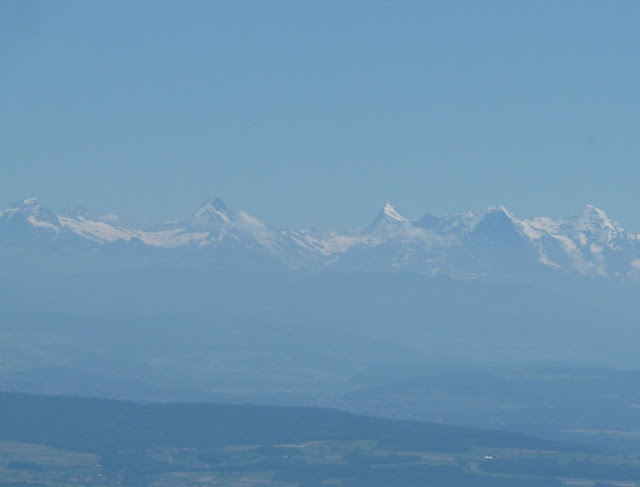 The distinctive mountains I mentioned yesterday are the Wetterhorn, Shreckhorn and the Finsteraarhorn all over 4000 metres. The last third of the walk was a bit different. The usually broad ridge became very narrow with drops on both sides. It was also tough walking with a series of ascents and descents. 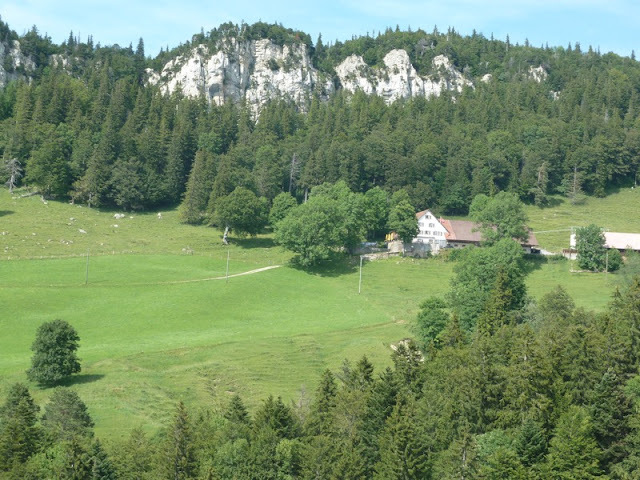 The Gasthof at Hinter-Weissenstein is on a working farm and has a brilliant location high up the side of the hill. Had my dinner on the terrace looking across the valley to the Alps, great way to finish a great day. with reaching German speaking Europe. Your third language area since the start! 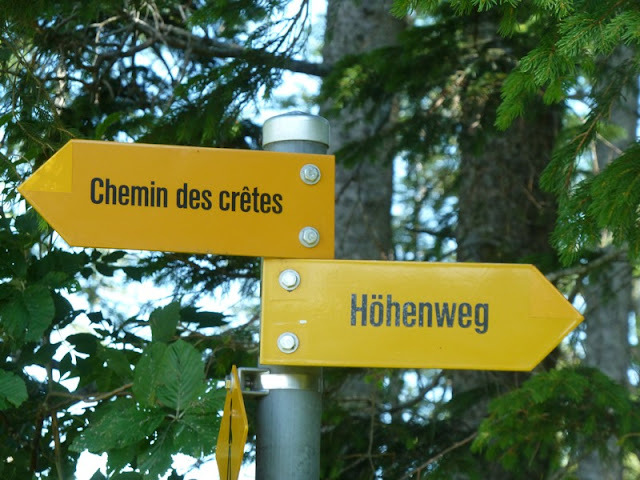 In Switzerland, many German speaking people master some French, which will help you out if their English is not good enough. 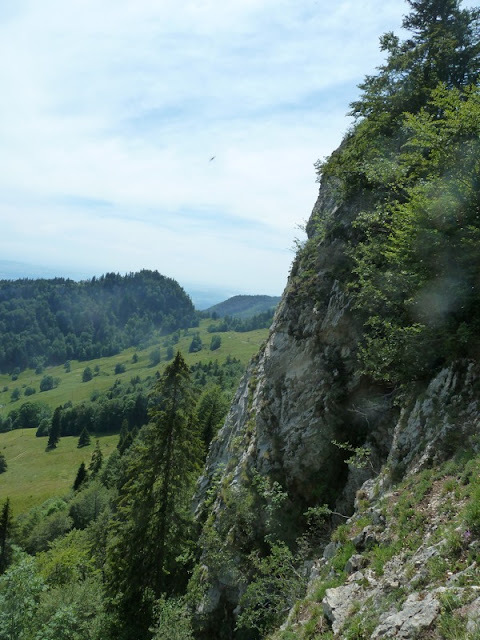 You will also soon leave the real mountains for some time as E4 is now approaching the River Rhine, and then following it until Bregenz in Austria. Some easy days to come - unless you speed up to 50 kilometers a day! Bet you now wish you'd concentrated more in your language classes at school.